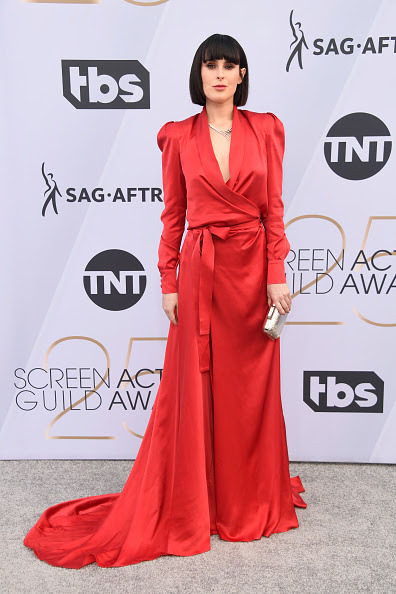 Actress Rumer Willis wore a necklace with White Diamonds and a Black Diamond Star in White Gold by Joy Reign, one of a kind jewelry, and the Mini Starburst earrings in White Gold by Sydney Evan while walking the red carpet at the 25th Annual Screen Actors Guild Awards at The Shrine Auditorium on January 27,2019 in Los Angeles, California. 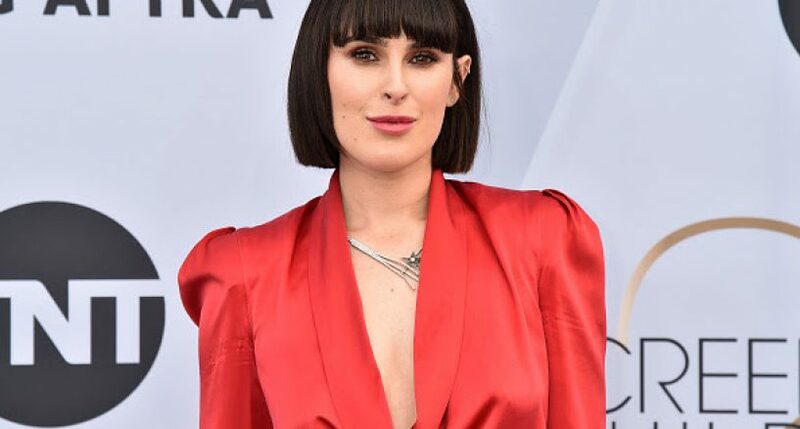 Rumer Willis looks hot in the red dress with her rocking jewels..
Necklace with White Diamonds and a Black Diamond Star in White Gold by Joy Reign, one of a kind jewelry. Mini Starburst earrings in White Gold by Sydney Evan.